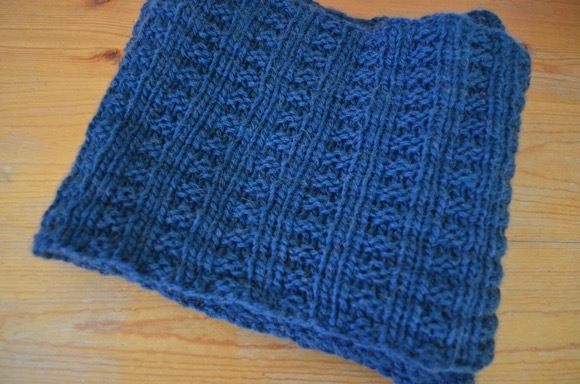 This cowl is the second broken rib cowl that is a gift for Christmas that I finished last week (I think). All these cowl knitting gifts are becoming a blur. You know what isn't a blur? Seeing an end to the gift knitting. I have the last cowl drying as I type this, stay tuned. Yesterday, I cast on this cowl for me. I have been drooling over the one my friend made and have been looking at yarns, dreaming about yarns. I'm pretty sure nearly every knitter has created the Three Color Cowl but me. I definitely want to be in the 'in crowd' when it comes to knitting so casting on was a priority. I'm in knitting heaven right now. Oh and I'm casting on a sweater on Christmas day. I'm excited about that as well. Remember this shawl? Yeah, me too. 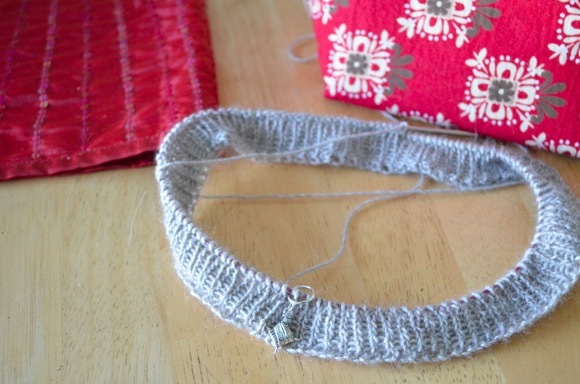 I shelved this project when I started the cowl gift knitting in September. I quickly found where I left off and have been working on this during TV time. You go on that cowl knitting. I can't wait to see what sweater you'll be casting on at Christmas. The shawl has such pretty colors. 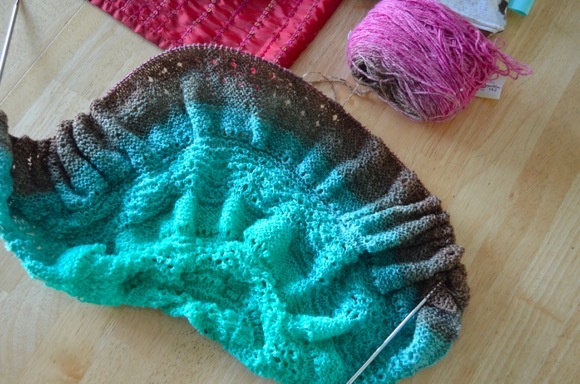 The gradient teal blues in that shawl are gorgeous. Enjoy your December knitting, it looks as if it is going to be peaceful and beautiful. My goodness the gradient yarn is a delight such beautiful hues of blue/greens. Happy Christmas knitting. Happy and speedy knitting!!! That cowl you are casting on for yourself will be so pretty. What sweater will you be casting on Christmas Day? After all of your gift knitting, you deserve a cashmere and silk cowl of your own! Enjoy the knitting and the snuggly, soft warmth when you're done! My gift hat is done (YAY) and I am going back to finishing a sweater for myself. (YAY). After all the gift knitting you did you certainly deserve a new shawl, sweater and cowl of your own! Very pretty! 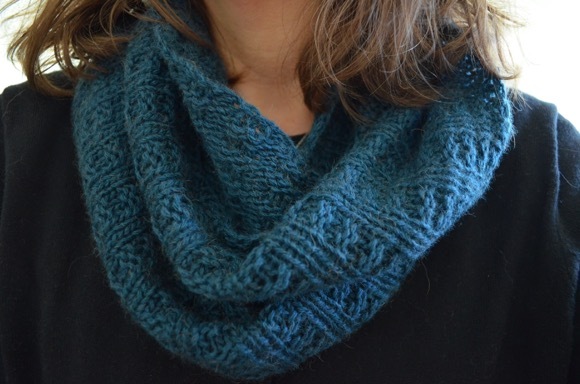 Have you seen the Hillview Road Cowl pattern? It's a nice one, too, I think. Hope you're staying warm! It's clear and chilly here with no rain in sight, for once. Could you please tell me where I can find the broken rib pattern you used for your cowl?